At the top of her game, 50-year-old Alice is diagnosed with a genetically linked, early onset, type of Alzheimer’s Disease. The movie follows an ambitious and intellectual woman through her loss of self with each painful aspect of her decline in memory, communication, and eventually her independence. As she experiences a fundamental loss of who she once was, we observe Alice and her family's adaptation to Alzheimer’s, as they struggle to find hope in an otherwise hopeless situation. Still Alice encourages us to redefine a life worth living when knowledge of ourselves is taken away. Alzheimer’s Disease (AD) can be called the “ultimate thief” insofar as we define ourselves as “the sum of our combined experiences” (Wolfson, 2008). In Still Alice (based on the fictional book I’m Still Alice by neuroscientist Lisa Genova), Julianne Moore gives a stellar portrayal of Alice, a strong woman who must face a life with early-onset (familial) Alzheimer’s Disease (AD). A woman who defines herself by her intellect and strong facility with language must adapt to the many existential dilemmas and at the center, a fundamental loss of self that arises with this chronic, progressive, and at present, incurable condition. A young woman with autism spectrum disorder (ASD) shows the ability to “think in pictures” and overcomes immense obstacles to achieve extraordinary goals. 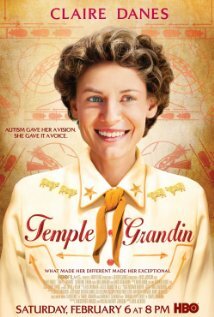 In this biopic of Temple Grandin, the celebrated woman with ASD, the struggles and triumphs of her early life are chronicled. With a comprehensive support network Temple learns to communicate, to discover how her brain works, and to accept her unique talents which ultimately lead to valuable contributions in animal husbandry and our understanding of people on the autism spectrum. “They knew I was different, but not less”; proudly proclaims a young Temple Grandin, during a sure-to-give-you-goose-bumps speech in the last scene of Mick Jackson’s HBO biopic detailing Grandin’s life as an autistic person. While the public’s awareness of autism has increased over the past several decades, so grew Grandin’s celebrity as an inspiring autist and self advocate. An LA detective battles sleep deprivation while investigating a murder in a small town in Alaska where the sun never sets. Veteran detective Will Dormer flies to Nightmute, Alaska to assist the local police force in an ongoing murder investigation. While trying to find the killer, detective Dormer battles sun filled nights that rob him of sleep. As Dormer’s mind becomes increasingly fatigued he must come to terms with a second crime as he struggles to differentiate between his waning consciousness and reality. As Insomnia begins we join detective Will Dormer, played by Al Pacino, early in his battle with insomnia and, possibly more importantly, anxiety. Throughout the opening credits, director Christopher Nolan uses fading and pulsating imagery to simulate the struggle of keeping one’s eyes open, effectively placing the viewer in the shoes of someone who is experiencing the side effects of extreme fatigue. An 8 year old girl from Australia becomes a pen friend to to a middle aged man in New York City with Asperger's Syndrome. This quirky animated black comedy explores the friendship of two social misfits through their letters. Among Max's mental health issues, including anxiety and depression, he is also diagnosed with Asperger's syndrome. He calls himself an Aspie and goes on to describe the traits he has which fit what others call his "disability". Max stands firm in his self-assessment that he doesn't feel defective or need to be cured. He simply doesn't understand how humans can be so illogical. When Mary writes a book about his disorder, their friendship is sorely tested. This film doesn't hold back on black humor nor the effects of not being accepted. A movie about friendship. 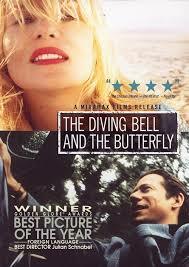 A young man with Tourette's syndrome, runs away from an institution to lay his mother to rest by the sea. Vincent, a young man with Tourette's syndrome, loses his mother and his home. He is placed in a mental institution by his father who is to worried more about his own political career than his son's welfare. Vincent and two other patients break out from the institution to travel to Italy. Vincent wants to lay his mother to rest at the sea. Along the way unlikely friendships are formed and relationships change. This German film starts out at a funeral, where we are introduced to the main character of the film, Vincent Galler. Vincent is a young man, who, at this point in the film, is struggling to keep his tics under control during the funeral for his mother (01:24). As more people continue to stare at Vincent and whisper about him, the tics get worse until he is eventually forced to stand outside the church so that his tics calm down (01:44). This is one of the first events that leads Vincent to do things he doesn't want to do. A young woman miraculously survives a serial killer's attack only to be stricken with prosopagnosia, a disorder that prevents her from recognizing faces. A young woman named Anna sees her world turned upside down when she becomes the sole witness to a murder and also suffers an injury that leaves her unable to recognize people by their faces, including the killer. Struggling with prosopagnosia, also known as "face blindness", Anna must learn how to navigate a world full of friends who look like strangers, and strangers who could be killers. Can she see people for who they really are before the killer comes for her?